Lot No. 9 in the sale of the Geldeston Brewery Wednesday 1st April 1858. Purchased by Youngs for £370. 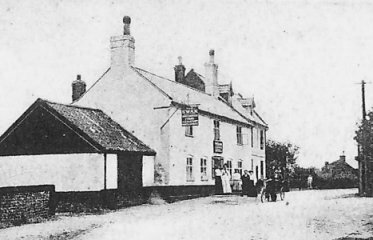 Wednesday 11th July 1866 - Residents of Kirby Cane, William Ward and James Woods were found guilty of being riotous and disorderly when refusing to quit the SWAN, earlier in July 1866. Ward was fined 10s and Woods 5s, both to pay 8s costs each. They were further fined 5s, with 13s costs each, for assaulting the wife of landlord Benjamin Hinsley. Closure recommended at First Joint Committee Meeting of Bullards and S&P 29th May 1962. By 1990's all had gone, including cottages, to accommodate the Kirby Cane bypass.